Recently the Major League Fishing Bass Pro tour held six day tournament event in North Carolina. Organizers were looking to increase excitement, grow the sport, and engage with their audience. They knew they needed something different that would help their fans interact with the sport and give them more visibility. So they rented a jumbotron at their fishing tournament. At a nearby Bass Pro Shop, they hosted the viewing party using the jumbotron. There was live video of the event, which drew in more visitors that wanted to watch what was happening. They also would have the competitors come there at the end of each day, so it was a huge attraction having the big screen video board to display any content. Guests would return day after day to watch what would happen. It ended up being a hit, and fans loved it. Besides watching the action on the jumbotron, fans were also able to watch the video from a live stream. This way, even if a fan couldn’t attend the event, they could still tune in online and watch what was going on. At Fire Up Video, we can provide all of these services; the live video production, the jumbotron LED screen, and the live streaming service. 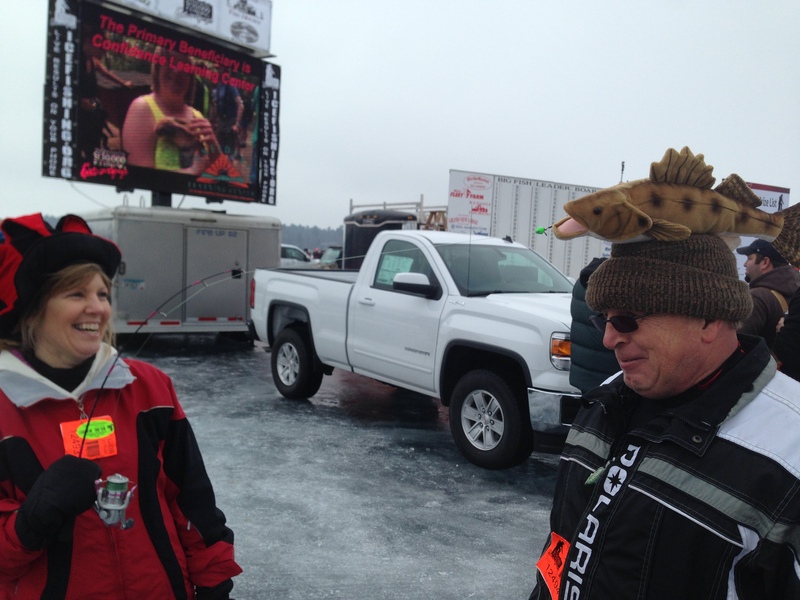 We have done several fishing tournaments each year with our mobile screens, and it is a huge success. We can display live video, show an updated leaderboard, play sponsor loops, and more. We also have full video production crew equipment that would allow us to capture the live action to send to the video wall or to a live stream. And finally, we have the technology to send out a live stream so it can be viewed anywhere in the world. 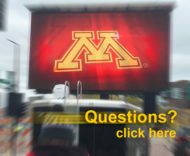 Fire Up Video provides jumbotron LED screen rentals for outdoor events all over the Midwest, including states such as Minnesota, Wisconsin, Illinois, Iowa, Missouri, North Dakota, South Dakota, Colorado, Nebraska, Kansas, Tennessee, Kentucky, Ohio, Indiana, Michigan, and more. For more information, please contact us at612-759-1012 or baum3@earthlink.net.